The increase in popularity of robo-advisors has brought numerous players to the field. Robo-advisors offer affordable hands-off investing. Now, anyone who wants to invest can. But there are over 200 robo-advisors. Each one is different and has their unique features. How do you pick the right one? We have come up with our top 5 robo-advisors. Whether you're a rookie, have little money, or a lot to invest, there's something that will fit your bill. Read on. Do you have $2,500 to invest? Ally Managed Portfolio allows you to preview your personalized portfolio recommendation before signing up. Robo-advisors provide online automated investing services. They use an algorithm to select investments for you and automatically monitor your account with software. Robo-advisors can automate complicated tasks like rebalancing and tax strategizing to give you better returns. Because robo-advisors use automated management, they can provide the service at a low cost (compared to human advisors). Robo-advisors are great for beginners who don't feel confident about making their own selections. Most have no (or very low) minimum starting requirements, so they're accessible to anyone with internet access. Robo Advisors vs Financial Advisors: Robo advisors only make decisions based on factors like your age, goals, and risk tolerance. This means their approach is more cookie-cutter. On the other hand, human financial advisors can tailor your investment plan to your specific needs and ever-changing financial situation. However, they are more costly than robo advisors. Your portfolio is based on your age, income, goals, and risk tolerance. These are the basic questions the robo-advisor will ask you. It uses that information to build you a portfolio that aligns with your goals. For example, if you're young, your portfolio may have a heavier stock allocation, as you can afford to take more risks. Your portfolio is made of ETFs. Robo-advisors mainly use ETFs (Exchanged Traded Funds) to build a diversified portfolio. An ETF is a collection of stocks and bonds, so it's less risky than single stocks. They also cost less to trade, which makes the portfolio cheaper to maintain. How fees work. Generally, you pay a percentage of your assets under management. But some robo-advisors also charge a flat monthly rate. While some charge nothing. Automated vs. human oversight. Some robo-advisors are completely automated. The decisions are made by software. Some also have professional human oversight, where real financial advisors will periodically monitor your account and make changes. Are Robo Advisors Worth It? Robo advisors are great for young, inexperienced, or lower net worth investors. However, if you're a very confident investor, then you may be able to see better returns managing your own investments. Or if you have more complicated wealth management needs, a real human advisor may be able to serve you better. Low management fees: Many robo-advisors charge annual fees. Some charge a monthly fee, while others charge nothing. You'll want to choose the robo-advisor with the lowest management fee while still providing the features you'll use. Low minimum investment requirement: Each robo-advisor sets their own minimum investment requirements. Know how much you have to invest and choose your robo-advisor accordingly. Automatic investment rebalancing: The key to robo-advisors is their ability to monitor your account daily, automatically rebalancing your account when it gets off track from your intended goals. Not all robo-advisors offer this service, but we feel it's the key to success with this service. Watch out for hidden fees: Just because a robo-advisor has low management fees doesn't mean that's all you will pay. 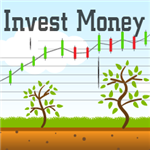 Make sure you find out what type of investments they trade. Are they mostly commission-free ETFs? If so, you are in good shape. If they trade mutual funds or stocks, though, you'll pay front-end loads, transaction fees, and commissions. These could all take away from your profits. With the above considerations in mind, here are our favorite robo-advisors. Betterment does not have a minimum required investment. New investors can get started with Betterment with little money. They typically invest your money in ETFs from one of 12 asset classes, and they offer both taxable and retirement accounts. Betterment's strategy is very goal-based. After answering their initial questions, Betterment puts together goals for you that cover money for emergencies, retirement, and general investing. You don't have to accept the goals that Betterment sets for you, though, since you can also customize your own. Either way, Betterment creates a recommended asset allocation to help you achieve your goals. As a bonus, Betterment offers daily tax loss harvesting, which helps to minimize your tax liability from capital gains, and they also automatically rebalance your account if it gets off course. Betterment vs Wealthfront : Wealthfront and Betterment are the household names when it comes to robo-advisors. They both have similar features and fees. If you are looking for differences, though, Betterment purchases fractional shares whereas Wealthfront only purchases whole shares. This can cause some cash drag as you wait to have enough cash to purchase whole shares. Wealthfront, on the other hand, offers 529 college savings plans whereas Betterment does not. It doesn't get much better than free. 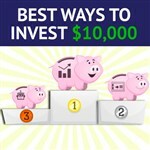 If you are going to invest less than $10,000, you can have it managed for you for no annual fee. 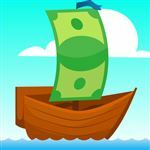 This is a great way for new investors to use every penny available to them to increase their profits. We also like SigFig because they give free access to a human advisor (15 minutes at a time) and they offer automatic rebalancing. If you decide to invest with SigFig, though, you should know that your funds are not invested directly with SigFig. Instead, they serve as the "middleman" for your accounts with TD Ameritrade, Fidelity, or Charles Schwab. If you don't have an existing account at any of these brokers, SigFig will open an account for you at TD Ameritrade. Keep in mind: Even though they don't charge a fee for assets under $10,000, you do need $2,000 to get started with them. We like Vanguard Personal Advisor Services for investors with a high net worth because they offer a combination of a robo-advisor and personal advisor all in one service. The fact that you can get personal advice on your portfolio for only 0.3% of your managed assets per year is what some investors would consider a steal. If you have a high net worth, this could be a valuable service for you. Vanguard Personal Advisor Services offers all the same benefits of any other robo-advisor, including automatic rebalancing, 24/7 access to your portfolio online, and help with setting and achieving your financial goals. Vanguard Personal Advisor Services does not offer daily tax loss harvesting. This can be costly when you are talking about large investments. They are conscious of your tax liabilities and help to allocate your assets appropriately between taxable and non-taxable accounts, but daily tax loss harvesting could be something sorely missed. It sounds too good to be true, but Charles Schwab's robo-advisor service is offered free of charge in exchange for a minimum investment of $5,000. This doesn't mean you won't pay any fees, though, as you'll still be responsible for the expense ratios on your investments, which can range from 0.06% to 0.20% of the assets. Schwab Intelligent Portfolios offers traditional, Roth, and Rollover IRA accounts. They also offer SEP IRAs and SIMPLE IRAs for the self-employed. A feature we like about Schwab's Intelligent Portfolios is their "Goal Tracker." This feature helps you see your progress toward your large, retirement goals. When you are just starting out with $5,000, your retirement goals can seem unachievable, but with the Goal Tracker, you can see your daily progress, and it tells you if you are on target, at risk, or off target. The tracker then gives you advice on how to correct the issues to get you back on target, if necessary. College students who are conscientious about the need to start saving for retirement can benefit from the Acorns app. With just your spare change, you can start investing with as little as $5. You link as many credit cards as you want to Acorns and they keep track of your purchases, rounding them up to the nearest dollar. Once your spare change hits $5, they withdraw the funds from your checking account and invest the "change" for you. You won't get rich quick, but it's a great way to get a head start on saving for retirement. Most robo-advisors don't manage 401(k) accounts; instead, they focus on IRAs and taxable investment accounts. Blooom fills that void, though, as they only manage 401(k) accounts. If you are a new investor or an investor without time to manage your 401(k), Blooom offers a valuable service. They do charge $10 a month, though, which can be rather costly depending on how much you have invested. Personal Capital offers a hybrid of a robo-advisor with the benefit of human advisors for investors with at least $100,000 invested. Retirees often benefit from this service by speaking with their advisor or team of advisors to effectively manage their withdrawals while staying on track with their personal goals. Personal Capital's services do come at a cost, though. They charge 0.89% of your assets under management per year, which is much steeper than your standard robo-advisor. If you are a retiree, though, you don't need the robo-advisors that focus on retirement goals. Instead, you need a consultant who will help you avoid taking out too much during retirement so you can stay on track. The purpose of a robo-advisor is to help you automate your investments. You eliminate the stress of managing your asset allocation on a daily basis. It also helps eliminate the emotional aspect of investing. This can help you avoid making rash decisions that have poor financial consequences. Perhaps one of the largest benefits of the robo-advisor, however, is the low fees. The average robo-advisor charges 0.25% of your assets under management per year. In exchange for the fee, you get automatic monitoring and often rebalancing of your account based on your desired goals. The software's algorithms determine the right asset allocation and help you keep your investments on track. In other words, the hard work is done for you. Once you answer the questions provided by the robo-advisor regarding your net worth, age, and goals, their algorithm figures out the desired asset allocation to help you reach your goals. If thinking about investing scares you, but you can't afford the hefty fees of a personal financial advisor, a robo-advisor could provide the perfect compromise. It takes the stress of managing your investments off your hands and makes them automatic. Whether a robo-advisor is right for you depends on many factors, including how much you have to invest, how much you are willing to pay, and if you are capable of handling your investments on your own. In addition to the management fee the robo-advisor charges, you may pay fees for mutual funds, ETFs, and index funds. These costs eat right into your profits, but they are not paid to the robo-advisor. Instead, they are paid directly to the investments. What is the difference between taxable and retirement accounts? When you save for retirement, you save your funds with tax advantages. Oftentimes you don't pay the taxes until you withdraw the funds. Taxable accounts, on the other hand, do not have tax benefits. You are not restricted to any contribution limits or distribution guidelines. Most robo-advisors invest in low-cost ETFs. These are investments that track specific indexes based on their industry. They work similar to mutual funds, but ETFs trade like stocks, though, enabling you to purchase as little or as many ETFs shares as you want. Some robo-advisors use tax loss harvesting techniques to help minimize your tax liability. In other words, they sell investments that have lost value. The loss helps to offset the capital gains you make on profitable investments. In the end, you have a lower tax liability and higher profits. Why would robo-advisors offer human advice too? From the name, robo-advisor, you'd think the computer would do all of the work. Some robo-advisors, though, offer a hybrid service, which can mean interaction with a human advisor. Many brokerages reserve this service for high net worth investors, but not all do. The right robo-advisor for you depends on many factors, including how much you have to invest, how much you want to spend, and the type of account(s) you want to open. Robo-advisors might not be the best option for the hands-on investor, but a hybrid investor that offers both automated and human advisor services could bring you the best of both worlds. Make sure you know everything a specific company offers and requires before making your decision. Leave a comment about Best Robo Advisor: Top Comparison List?